Bonita (ex Iris & White Rose - previously inaccurately recorded as Helen) was built by Crossfields at Arnside in 1888. As she was built as a yacht she has a fiddle bow instead of the spoon bow that Crossfields gave to their working boats. She is believed to be the only surviving Crossfield boat with a fiddle bow. 34ft LOD her planking is tight seamed which is another Crossfield yacht feature. 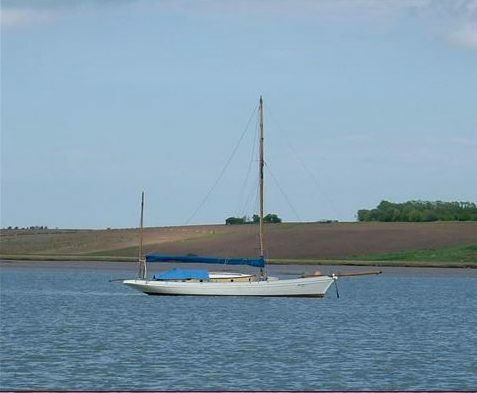 Originally cutter rigged Bonita was converted to a yawl in the early 20th century. Bonita was never called Helen. She was previously Iris and White Rose. Lots more detail on her blog (bonitayawl.blogspot.com). Almost certainly the oldest Crossfields boat afloat and also the first Crossfields yacht listed in Lloyds yacht register. Converted from cutter to yawl in 1907.